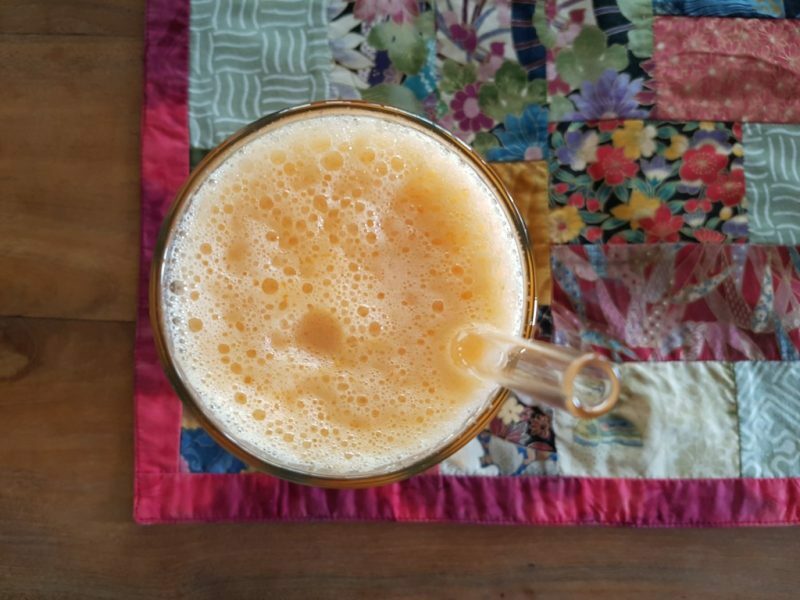 *These work out great if you’re staying long-term, but the day rates seem to be pretty pricey so if you’re only passing through a coffee shop or cafe might be easier to work from. **For me to classify WiFi as “decent”, it needs to: upload photos to WordPress, send emails (with attachments) quickly, and play videos on YouTube. If you need more than that (like uploading videos or huge files), you might want to head to a CoWorking space. 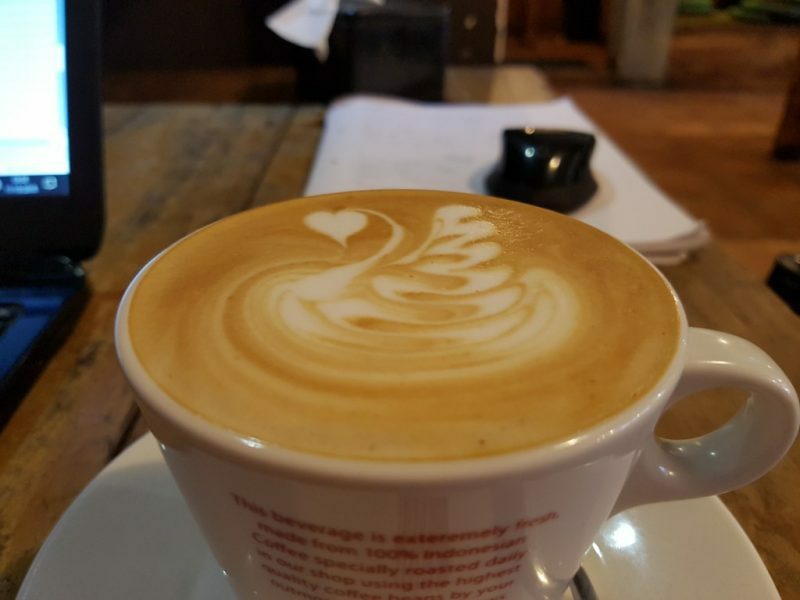 Part of an Indonesian chain, Anomali has really good coffee and a lot of really tempting cakes and sweet treats on offer. There’s no table service unlike a lot of the other cafes on this list, which means you can get away with nursing one drink and hiding away in a corner to work for hours. I was there about three hours one morning and no one even glanced at me, let alone chased me to order another drink. There aren’t many plug sockets, and in my experience the WiFi hasn’t been perfect. When it’s working it works well, but it seemed to drop in and out. However, a couple of other bloggers have mentioned this place having very fast WiFi, so there’s a chance I was just there on a bad day. 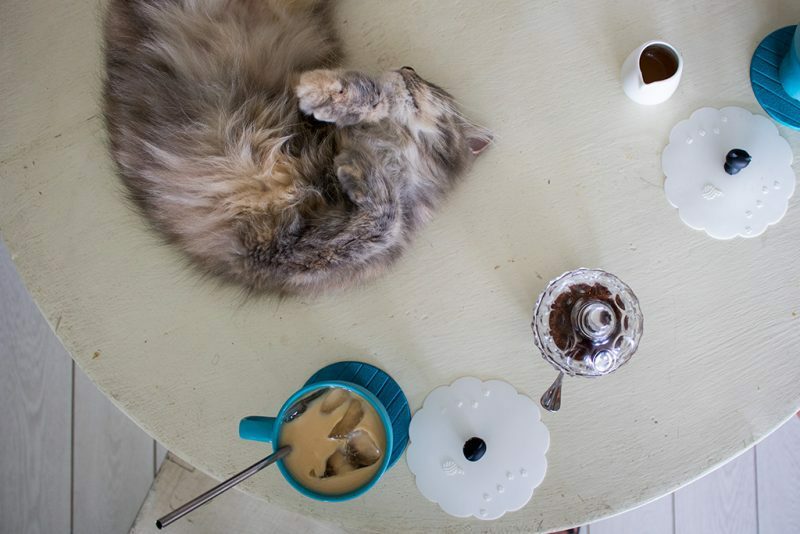 Although a cat cafe may not be the obvious choice for getting some work done, this adorable little cafe is a great alternative to the normal working environment. You can work in a quiet, cosy little cafe in the company of around a dozen cats. If you’re a cat lover (like me) Cat Cafe Ubud is a great place to do a little work. It’s generally pretty quiet, the staff are really friendly, and they told me they’re happy for folks to work here. While this probably isn’t the kind of place to make conference calls or do anything that needs total concentration, it’s makes a nice change and it’s very relaxing – the perfect place to think, write, or take some notes. And hang out with some cute kitties! By night it’s a funky bar with live music and cocktails. By day, though, it’s a chilled out and quiet bar with decent WiFi and great milkshakes. Chill Out Bar seems to be a bit of a hidden gem in terms of work spaces, with most folks flocking to the funkier coffee shops and cafes, so you’ll likely have it all to yourself in the afternoon. Free corn chips with your drinks order is a nice touch, and the staff were kind enough to move a fan right next to our table while we visited – but they’re also keen for you to keep ordering drinks while you work, and approached me a few times for my next order (before I’d even finished my first drink). Best For: Fresh, healthy food. 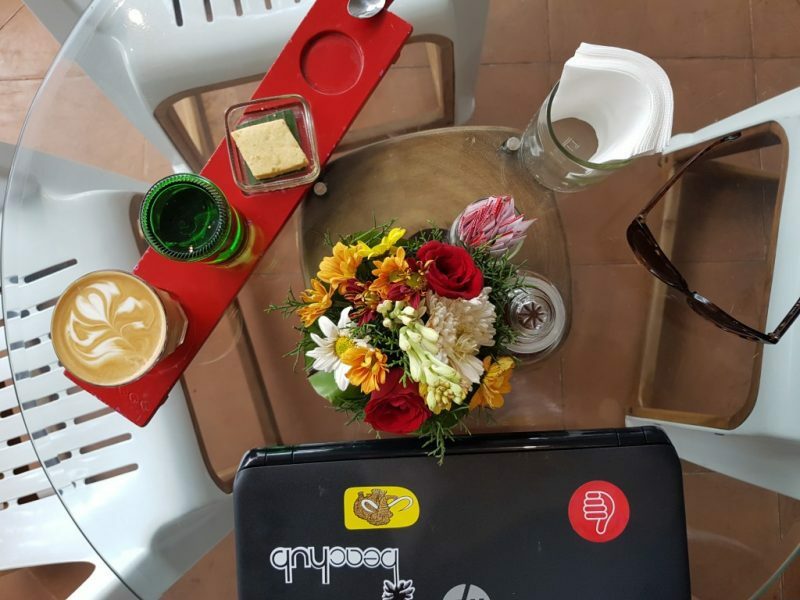 In terms of atmosphere, Clear Cafe is definitely my favourite cafe in town – and it probably has the fastest WiFi Ubud has to offer outside of CoWorking spaces. It’s huge, airy, and the decor is an Instagrammer’s dream. Mini flower gardens in the loos, large fishponds, lots of greenery and funky indoor fountains make it feel like you’re sitting in a garden. 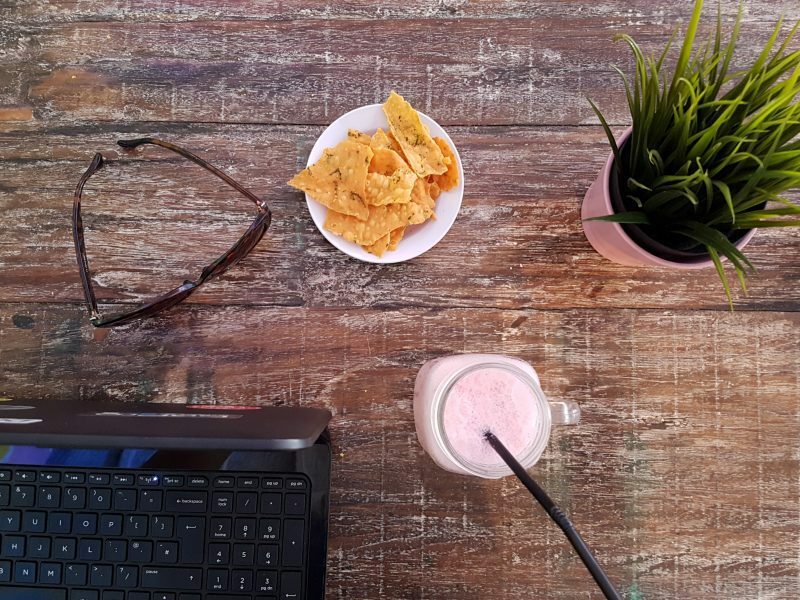 Throw in decent WiFi and an amazing menu with delicious, healthy food and plenty of juices – and you have digital nomad heaven. There’s a big lounge area upstairs with floor cushions which is ideal for working. And there’s even a fireman’s pole to get back downstairs! I’m pretty sure this is the coolest cafe in Ubud. Cost of a Latte: 25,000 (Try the cinnamon latte, it’s delicious). I only discovered Nomad on my last day in Ubud, which is a shame because it turned out the food here was excellent (although a little overpriced). It was always really busy in the evenings when I passed, but during the day Nomad was quiet and perfect for working. There are loads of different seating options, but the low tables with floor cushions in the bar area are perhaps the best for working, since they have their own plug sockets and get plenty of breeze from the open walls. The downside is the street noise from the busy main road outside, so this isn’t a great place for making calls and things. But there’s a good atmosphere, the coffee is pretty decent, and the food’s great. Best For: Being welcoming to workers! 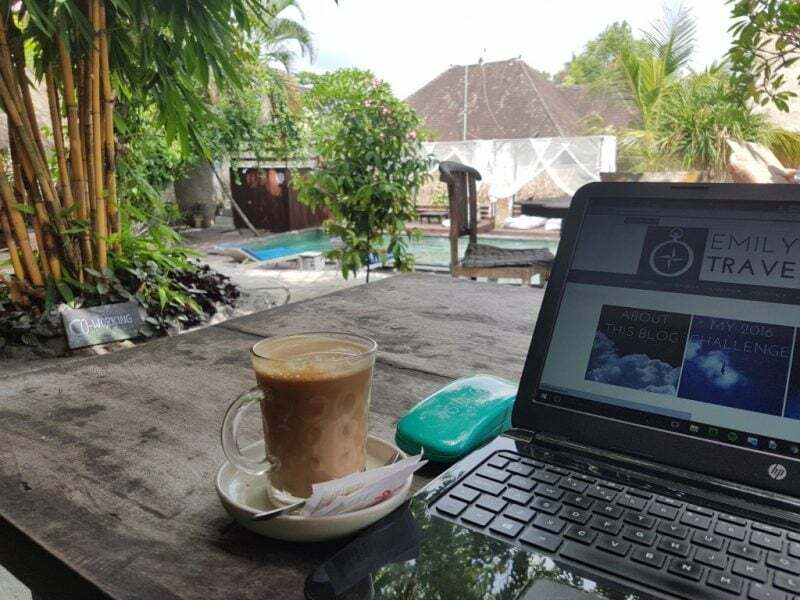 The Onion Collective in Ubud is a friendly CoWorking space which also offers reasonably priced accommodation – and has it’s own pool! The on-site restaurant is also a great place to work, with high speed internet and a nice, chilled out atmosphere. I’ve spent a whole day working here and not once been hassled to order more drinks than I actually wanted, which is nice. This is also one of the best hostels in Ubud, and a great place to meet people. 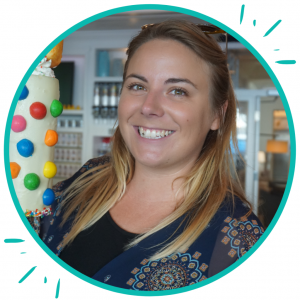 You can stay on site in a dorm or private room, and because it’s part of a CoWorking space the vibe is generally more welcoming for workers. They have live music and movie screenings in the evenings, so it’s a more social workspace than some of the others. However, the restaurant is mostly outdoors. There’s plenty of shade and there are some powerful fans around, but I found it got a bit too hot in the afternoon. That being said, it’s nice to work surrounded by greenery and fresh air – and having a pool on site is a real bonus. Best For: Really good coffee! Seniman is probably my personal favourite on this list, mostly because of the awesome locally roasted coffee (the roastery is just across the road). Plus I love the rocking seats, which let me trick myself into thinking I’m almost burning off the cakes by rocking as I work! Presentation is cute; coffees come on a coloured wooden paddle with a biscuit and a glass of water. The downstairs aircon room is quieter than the main coffee shop upstairs and you can people-watch through the big front window. WiFi is super speedy and there are plenty of plug sockets. 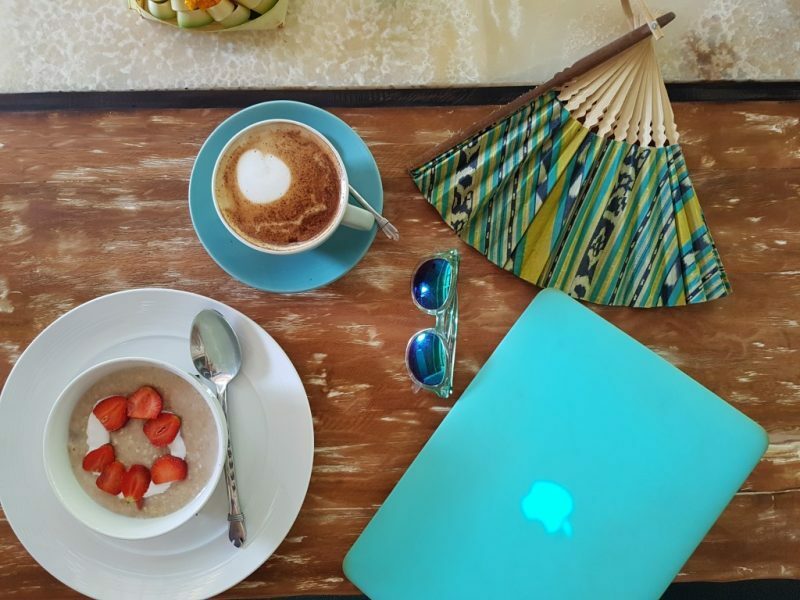 In terms of food and drink, Seniman is probably the best coffee shop in Ubud – and it’s such a fantastic place to work! 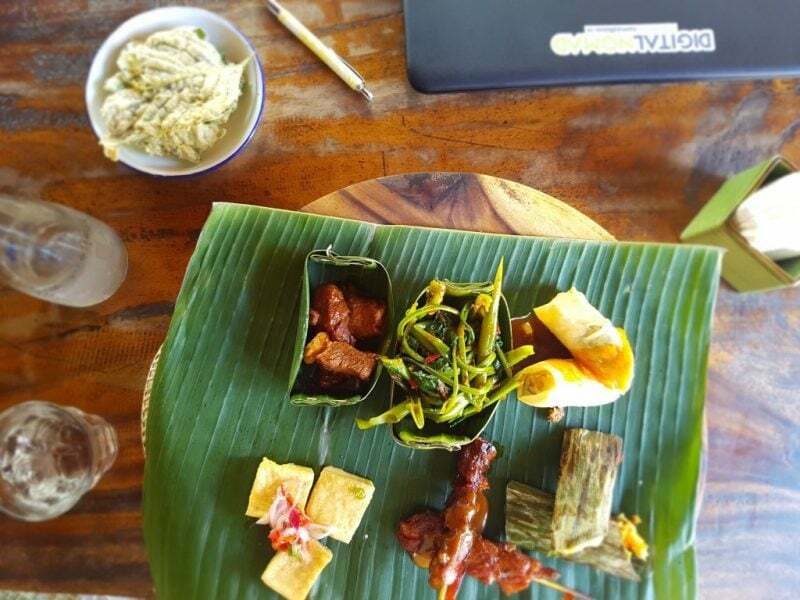 Quiet and cute with a nice, chilled out atmosphere and good food, Warung Semesta is a really nice cafe to work from in Ubud. The WiFi isn’t perfect and sometimes drops out, but it ran well enough for me to send emails and upload a few photos to my blog. Service is really friendly, but quite slow – perfect if you want to spread your drinks orders out throughout the day. There’s no aircon but plenty of powerful fans, and the downstairs is really open so there’s usually a nice breeze. 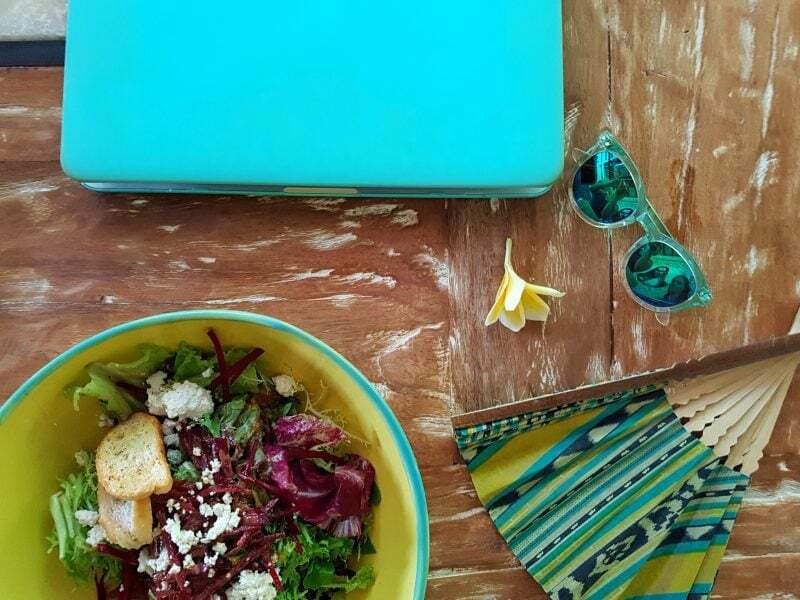 Do you know a great cafe to work from in Ubud? 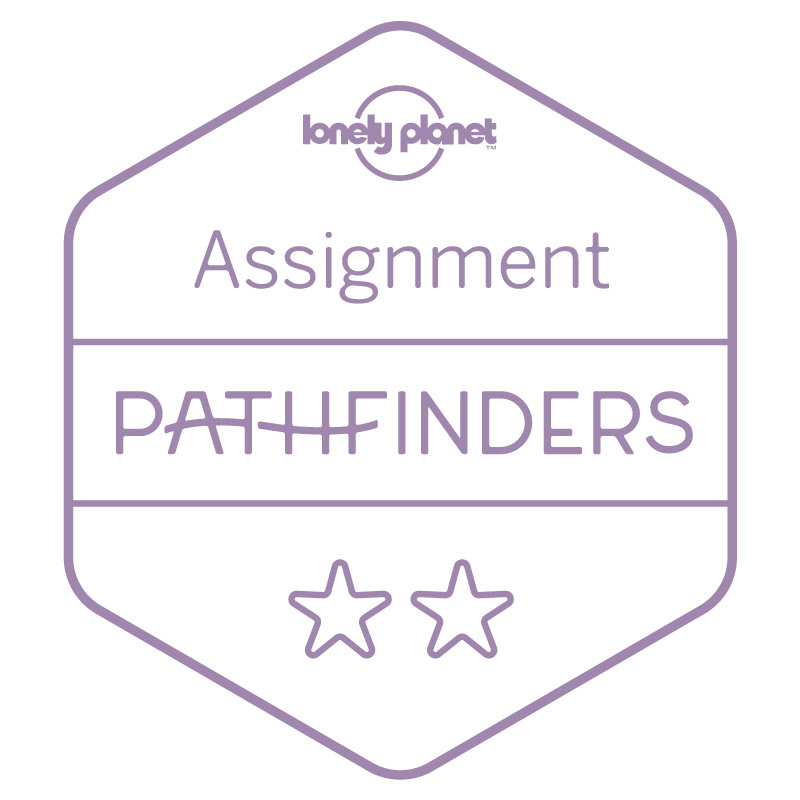 Scroll down to leave a comment with your recommendation! For a nice place a bit more to the west, Cleanse Cafe ( https://www.google.co.uk/maps/place/Cleanse+Cafe+Ubud/@-8.5108784,115.2575565,16z/data=!4m5!3m4!1s0x0:0x8eed3c9ff1c927f7!8m2!3d-8.5045829!4d115.2541083) right next to the bridge has decent wifi (PING 3 ms | DOWNLOAD 7.80 Mbps | UPLOAD 1.44 Mbps as per speedtest.net). Despite it being called a cafe, the only coffee they serve is Balinese (similar to Turkish) coffee, so don’t expect barista lattes. The view is great and there are many power sockets. The interior is colourful and airy, but seems a bit neglected, giving it a shabby chic feel. 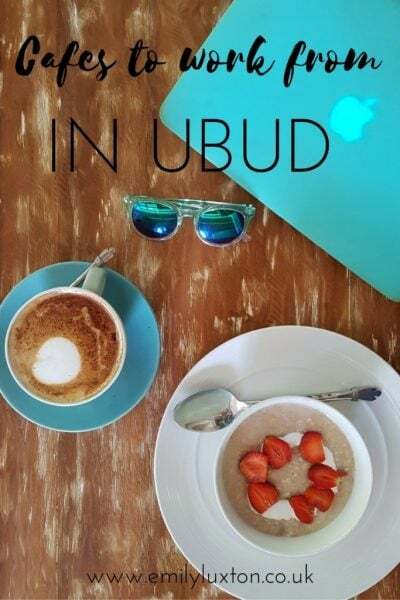 Thanks so much for the tip Daain :) I really need to get back to Ubud and test out a few more of the cafes!! Just been at onion collective the second time. Slowest internet speed I have experienced in Ubud, 0.40 mbps at best. Should probably update that in your article. Still has a nice garden but if hou come to work at a cafe there are better places. At Habitat cafe I get aroumd 50mbps only downside is terrace is not as nice and its quiet expensive. Ah YAY – that’s so exciting!! How’s the coffee there?